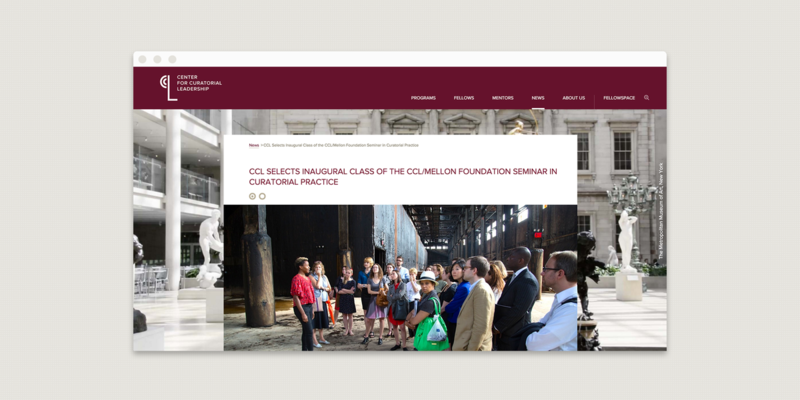 The Center for Curatorial Leadership is an institution that operates a series of fellowships for museum curators from around the world. 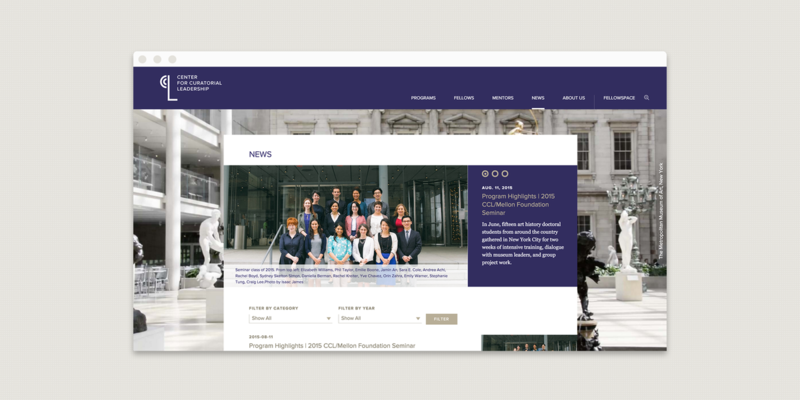 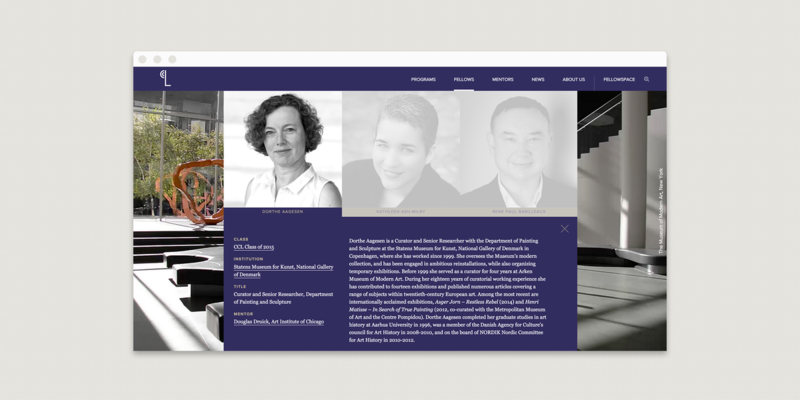 Looking to modernize their application process and cultivate a community for their fellows, C&G was tasked to build a website that would provide a platform for their institution for years to come. 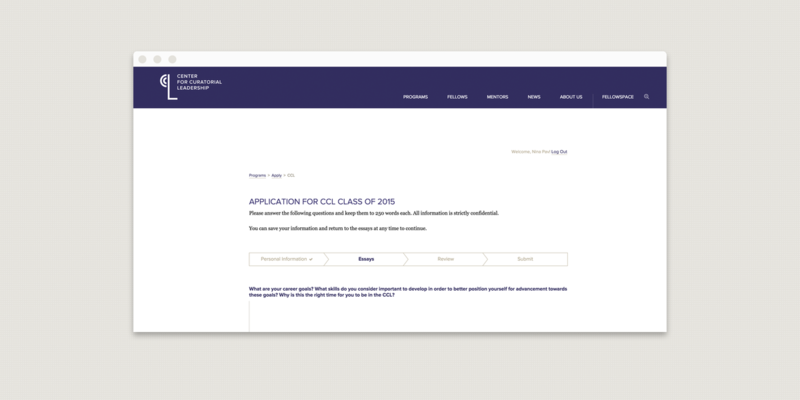 Working as the lead developer at C&G Partners, I worked on the full technology stack of this project. 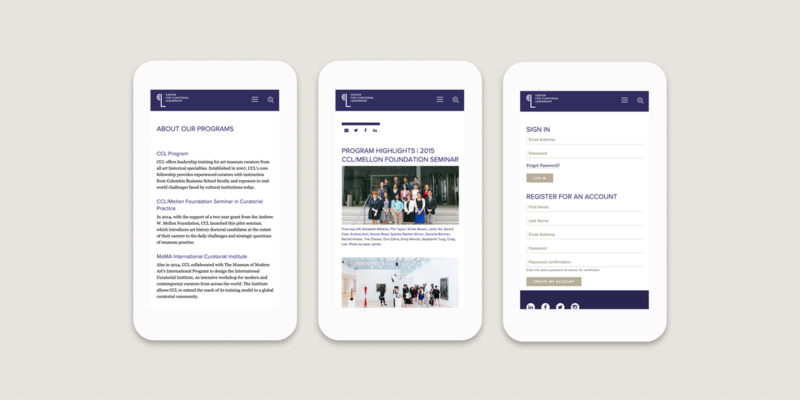 This project consisted of three components: a public-facing website, an online application system and a small social network. 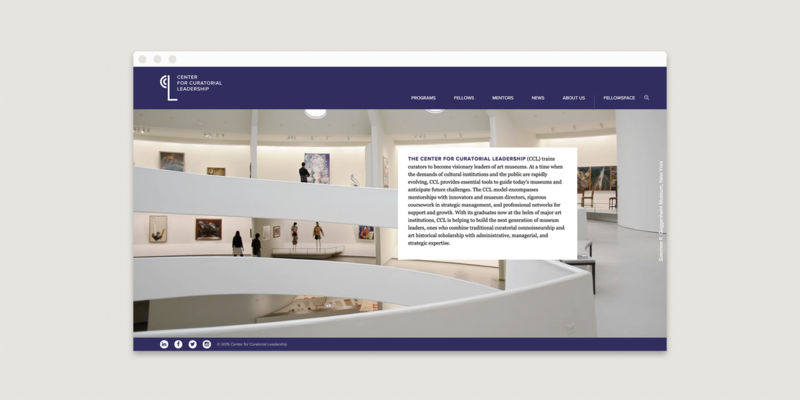 Due to the highly interactive nature of the application and social network, this project required particularly thoughtful architecture, enhanced security considerations, and automated regression testing.